The Lettia COOLMAX® ProSeries AP Pad is designed to keep your horse cool and comfortable under the saddle. The moisture-wicking properties of the COOLMAX® fabric on the underside of the pad, combined with the diamond quilting, provide cool comfort that is second to none! Check out other new CoolMax® products like the Lettia CoolMax® ICE AP Saddle Pad, the Lettia CoolMax® ICE Baby Pad, & the Lettia CoolMax® ICE Polo Wraps! Lettia COOLMAX® ProSeries AP Pad is rated 4.6 out of 5 by 66. 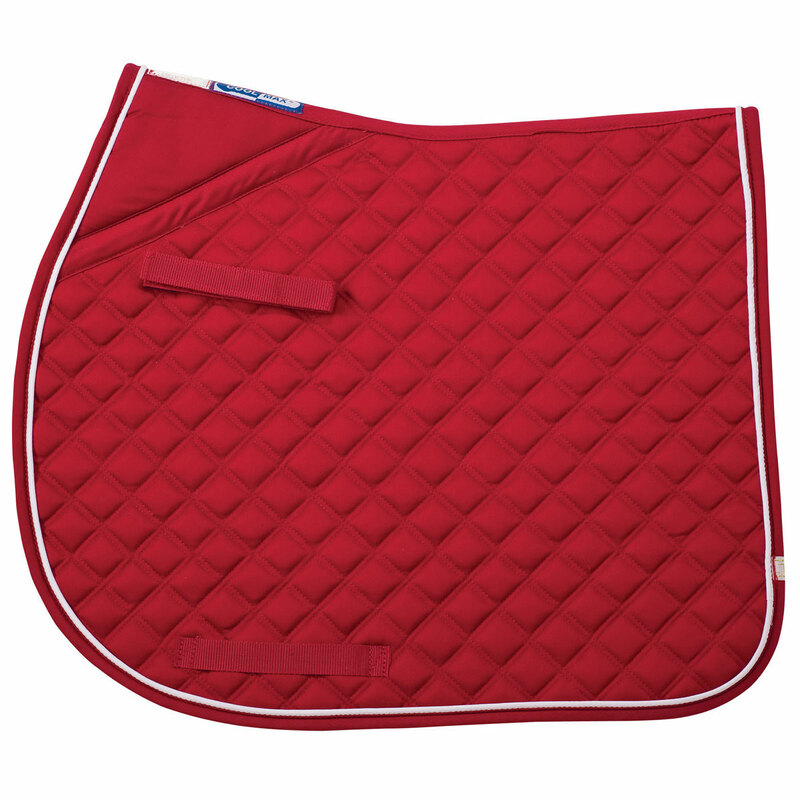 Rated 1 out of 5 by Roxy from Poor Padding The red color of this pad cannot be beat, just beautiful on my dark mare. But I was so very disappointed in the thin pad, it is the thinnest pad that I have ever purchased and will be sewing additional padding to it. 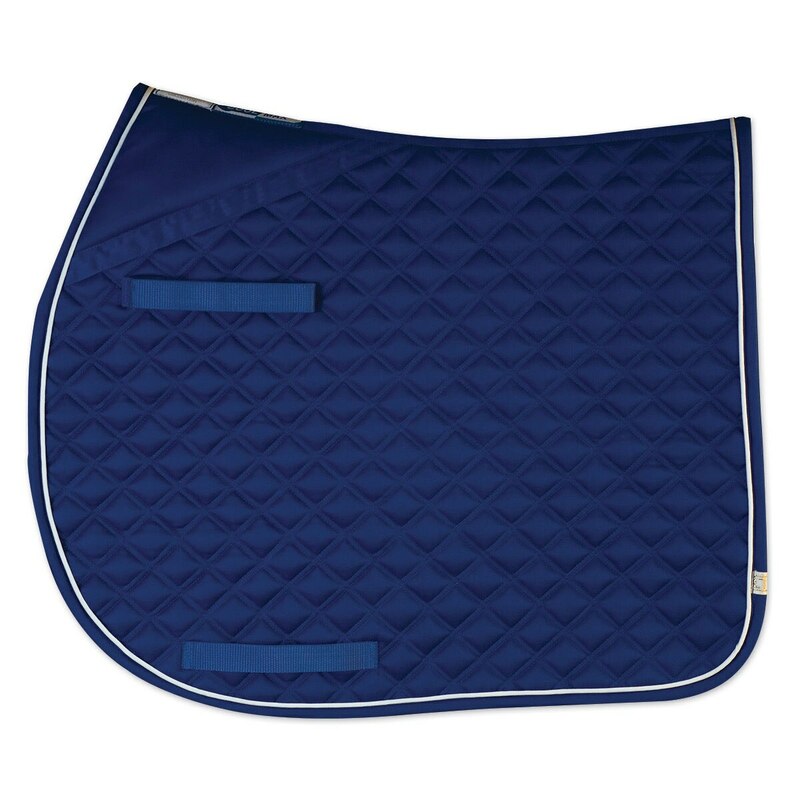 Rated 4 out of 5 by trs21 from Awesome Quality, a Bit on the Small Side I bought this saddle pad in March to help my OTTB stay a little cooler during our summer rides. The Cool Max features of this pad definitely work. 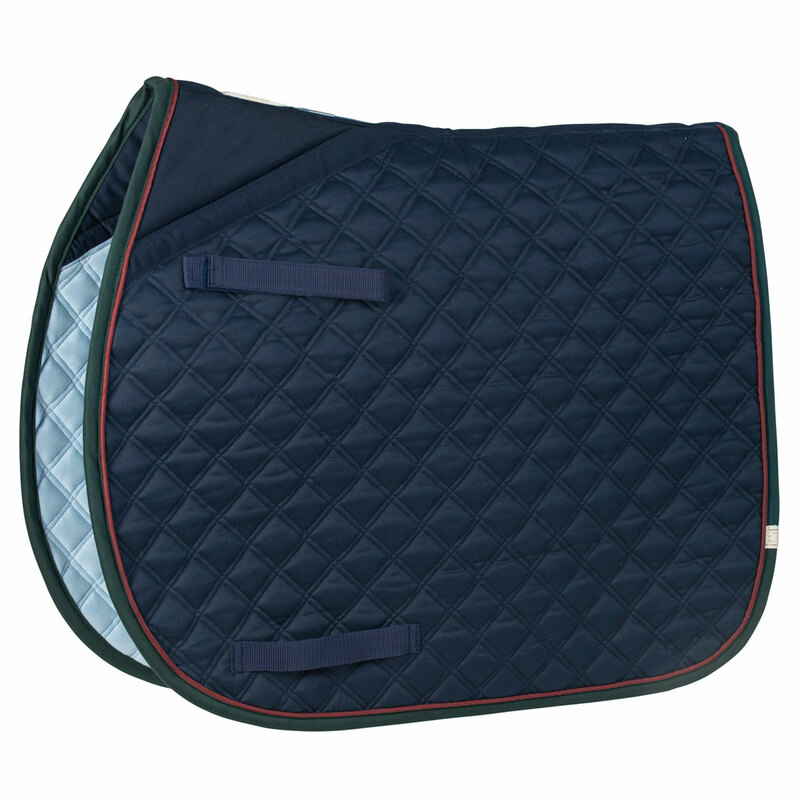 My gelding, who sweats a lot, is noticeably less sweaty and dries much faster after riding in this saddle pad. The quality of this pad is great, it looks just as new as the day I bought it. Dirt tends to stick to the inner part of the pad, but not hair. Because of this, I usually have to wash it after about 3 rides. However, it machine washes great with cool water and the quality of the pad has held up through many washes. My only real issue with this pad is that it is a bit smaller than I expected. I measured mine and it is barely 21 inches along the spine and the drop is barely 20 inches. However, it fits my 16.5 saddle and 16.3 hand horse well enough. 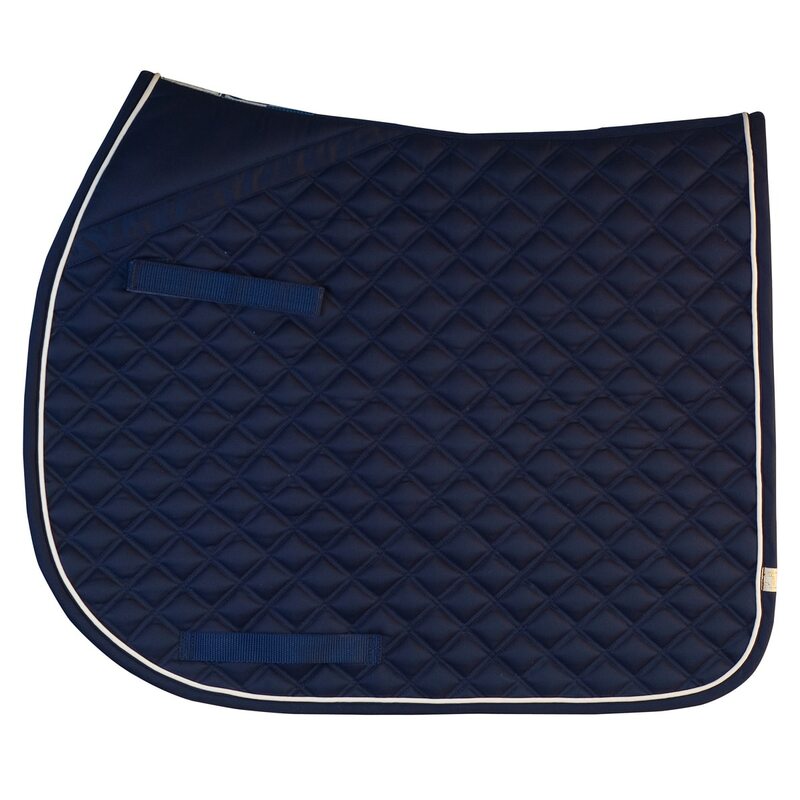 Overall, I love this saddle pad and I plan to buy another one in the future. 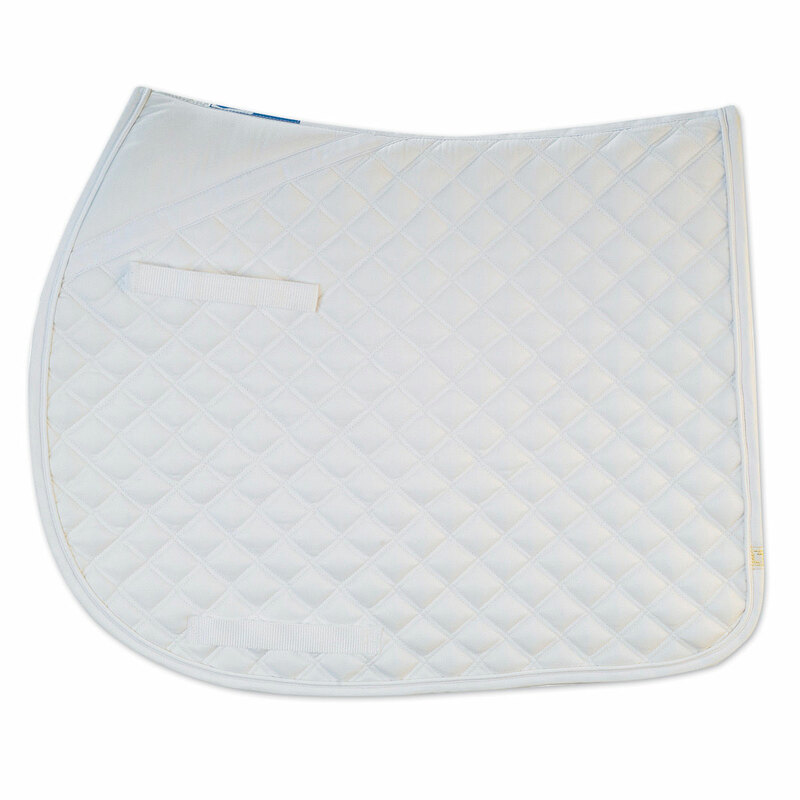 Rated 5 out of 5 by Erin from Best saddle pad!!! 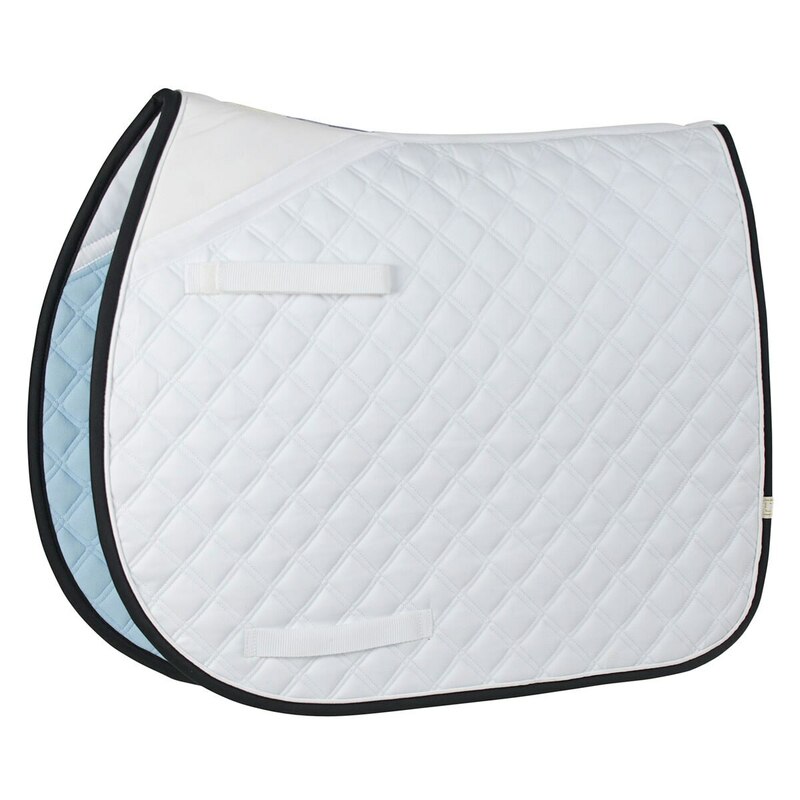 This is the second COOLMAX saddle pad I have bought. I have used the first one for about a year now and it’s held up beautifully! Besides for the horse hair underneath it still looks new!!! 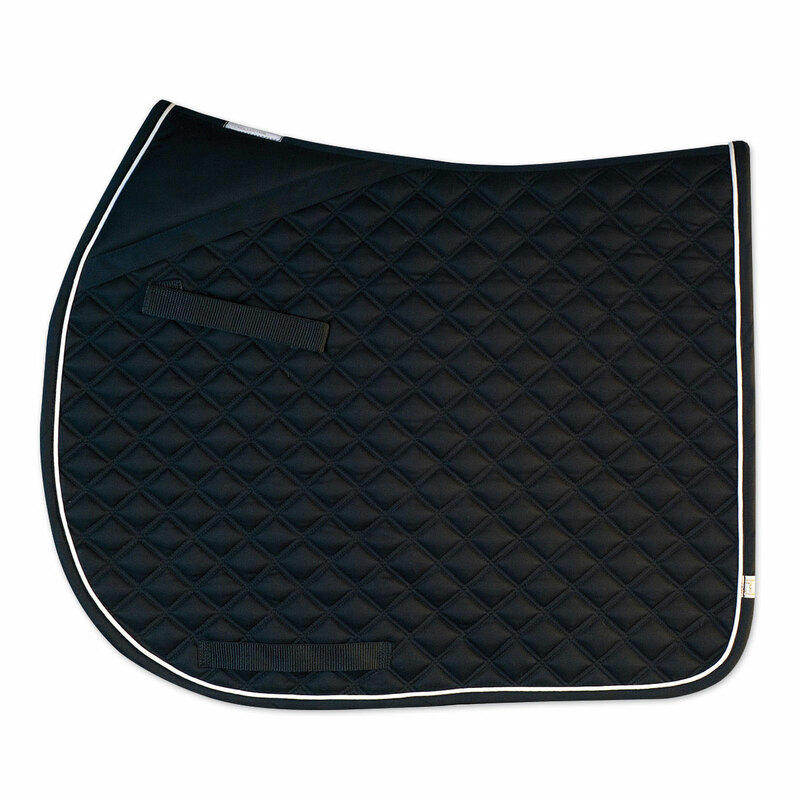 I really love this saddle pad because my horse does not seem to get as sweaty in this saddle pad. Rated 2 out of 5 by mamamia from The pad is not holding up! I have used and washed this pad four or five times and already a seam on the edge has split and another one looks like it might come apart soon. The pad is a nice fit for my horse and saddle ( 15'2 hands and jumping saddle), but I did find that the blue was more purplish than royal blue. Rated 4 out of 5 by Becca from Nice pad This pad was a birthday present and I got it monogrammed with a graphic which turned out nicely. The cooling tech works well. The pad did get kind of stained after a use but then again I did get a white one. It's a bit longer then the normal smartpak or dover do not ideal for a pony but fits nicely on a horse. Rated 3 out of 5 by MEH1 from Wanted to love this but... I have a AP saddle and this is an AP pad. And yet the strap where the girth is supposed to go through is too high up... I will need to get it altered to work for my saddle. Using only the Velcro pommel straps without securing the girth piece is not enough, it slips. Bummer. Other than that it seems like good quality otherwise I would not bother altering it and just return it. Rated 5 out of 5 by jackie17 from A friend kindly gave me an all-purpose model of this pad as it was too small for her big warmblood. But it fits my Arabian-cross dressage horse so perfectly that I ordered another one within a week! (Regular dressage pads look like oversized tablecloths on him.) 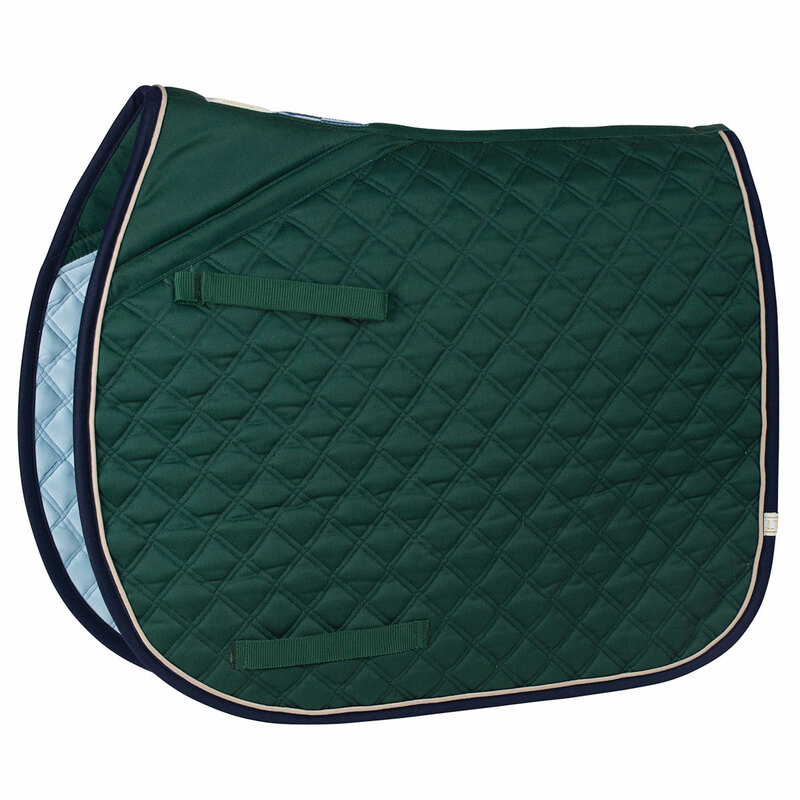 The high cut at the withers, the air flow feature, the nice firm padding and the general high quality make this saddle pad a winner.